How one Utah family built Qualtrics, a tech startup they sold for $8 billion — $7 billion they get to keep. And they still run the company. 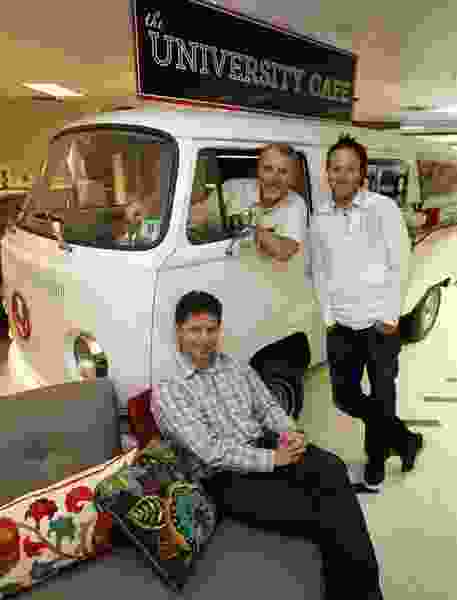 Francisco Kjolseth | The Salt Lake Tribune Scott Smith, center and his son Ryan, right, along with co-founder Stuart Orgill give an old VW Bus new life as a snack bar in the lobby of their software company Qualtrics in Provo. The company which makes online survey software recently got $70 million in first round venture capital and are a hot company growing in Utah county. The tech industry’s newest billionaires are two brothers who started a software company in their parents' basement in Utah. Now Ryan and Jared Smith are selling Qualtrics International Inc. to European giant SAP for $8 billion — and they’ll get to keep running the business. Ryan, 40, is the chief executive and public face of a startup that — unusually — resisted taking venture money for over a decade before finally agreeing to deals with Accel and Sequoia Capital. Last valued at $2.5 billion, Qualtrics makes customer-survey software used by the likes of Microsoft and General Electric, helping boost its revenue more than eightfold over the past seven years. Smith is something of a fixture in a Utah startup scene that encompasses Ancestry.com, Insidesales.com and recently listed Domo Inc. His ardor for the Beehive State means Qualtrics is a supporter of such events as the Silicon Slopes Utah conference, which showcases local companies as well as the region’s snowboarding and skiing. Ryan, who reportedly once turned down a $500 million offer for his company, his family members and other major shareholders are now poised to get about $7 billion for their shares. Not bad for a CEO who was paid $100,000 in salary last year. 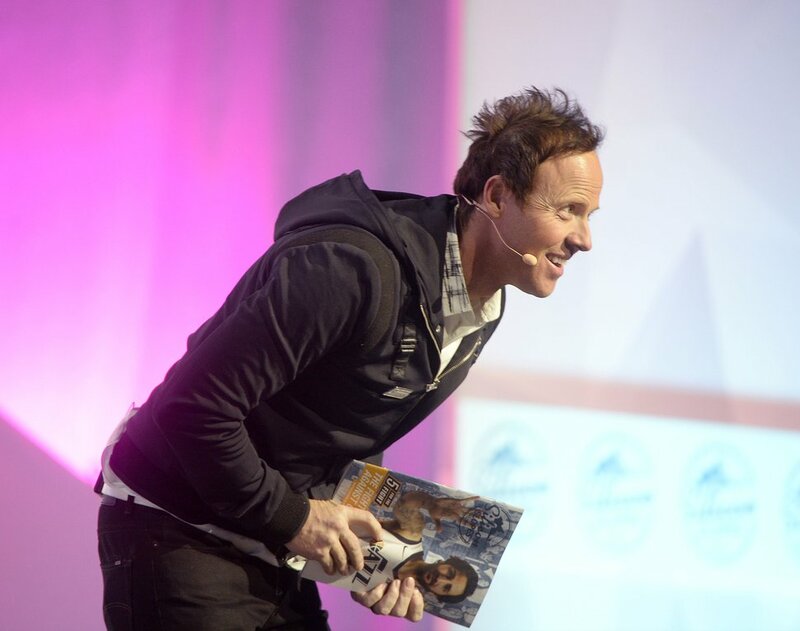 (Al Hartmann | The Salt Lake Tribune) Ryan Smith, Qualtrics, CEO speaks in the opening session to over 14,000 at the 2018 Silicon Slopes Tech Summit at the Salt Lake Convention Center Thursday Jan. 18. Qualtrics had filed for an initial public offering in the U.S. and was planning to raise about $500 million. SAP CEO Bill McDermott pre-empted the IPO with an all-cash offer that was more than 75 percent higher than the company’s projected valuation. McDermott said in a conference call that SAP had to pay up because Qualtrics' roadshow was going well. Ryan is known as the more gregarious and outgoing in a family of brainiacs — both his parents held doctorates and his father lectured about market research at the University of Oregon. The Smiths moved to Utah around the time Ryan’s father opted to work at Brigham Young University, owned by The Church of Jesus Christ of Latter-day Saints, and, in 2002, the pair started Qualtrics, originally targeting academics that needed to conduct field research. “We figured that if you could serve them, you could serve anybody,” Ryan told Bloomberg News in a 2013 interview. As the company grew, Ryan eventually persuaded his brother to quit a product director’s job at Google and run the technical side of things. Jared, now 43, is the company’s president. The Smith patriarch — a cancer survivor — came up with the idea to serve his fellow academics, while Jared wrote the code and Ryan sold it to customers. “We just said, ‘Hey, there’s no rules. There’s no playbook,’” Ryan said in an interview conducted for an Accel series profiling entrepreneurs. Qualtrics' approach is based on what it calls “experience management” or XM, according to Sequoia’s Schreier. That involves analyzing every aspect of the customer experience to drive loyalty and referrals, which it deems crucial at a time when social media outlets give individuals more power than ever to speak out. That approach worked. Qualtrics expects 2018 revenue in excess of $400 million and forecast a forward growth rate of more than 40 percent. Ryan and his family hold 87.6 percent of Qualtrics through a holding company managed by the two siblings and father Scott. That’s worth about $7 billion based on SAP’s purchase price — though it’s possible other family members own shares as well. Ryan will continue to run the company as an entity within SAP’s larger cloud business group, maintaining headquarters in Provo as well as Seattle. That allows the Smith family to retain a formula that’s served it well. Sequoia singled out the company for running on its own money at the start, eschewing the cash-burning common to Silicon Valley’s hottest outfits — a phenomenon that often requires multiple rounds of outsized funding. "I put those in, like, 5,000 apartments within a couple week period. I ended up making a lot of money," he said in the video. "That was one of my early, better actions. Hey wait, there's another way of doing this and it worked." Qualtrics' other unusual element is its home base, far from a Bay Area regarded as the cradle of the American tech industry. The family-owned business has become deeply involved in everything from sponsoring the Utah Jazz to local philanthropic initiatives. Ryan, a Latter-day Saint, has often spoken publicly about his state’s potential. Bloomberg’s Peter Elstrom contributed to this report.